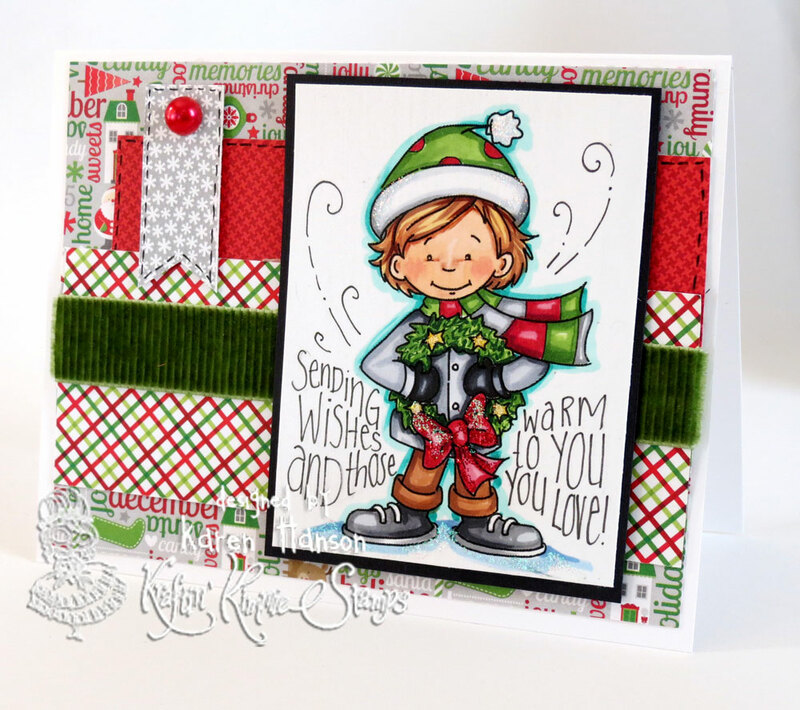 Let it snow – but only on paper! Halloween is next week, and that means that there is snow in the forecast for Calgary so this week’s Kraftin’ Kimmie “Let it Snow” challenge is perfect (although I am glad that I have at least a few more days of Fall). 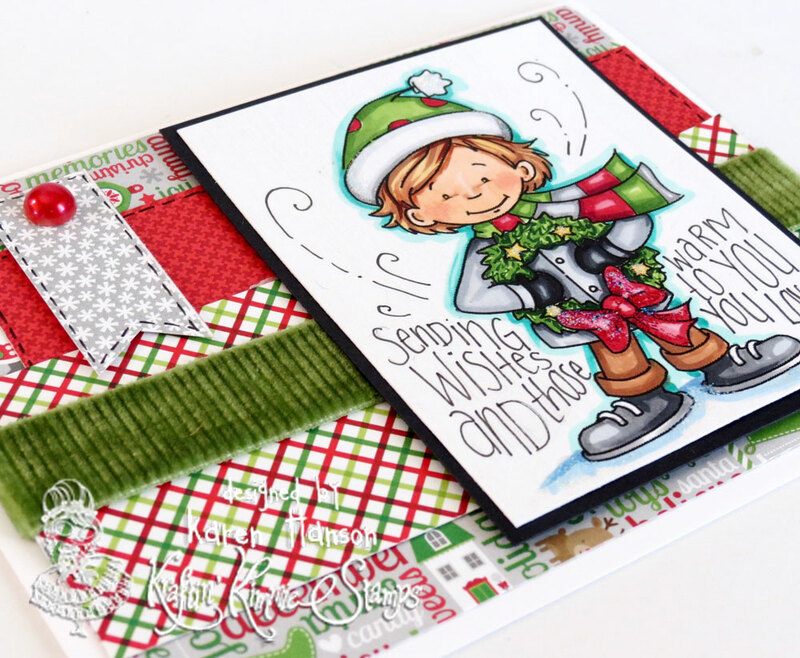 This week our hostess is Krafty Girl, KIMMIE so create a card, scrapbook page or altered item with a Kraftin’ Kimmie Stamp or any other stamp and be sure to use the idea of snow, snow embellishments, images with snow, fluffy stuff, white stuff etc. to get you going!!! I decided to use Lexi from the band new “Candy Cane Kisses” set. I coloured her up with Copics, and while there are no “direct” snow images in the image, Lexi looked like she was dressed for a blustery day (and anyway, she was so cute I just wanted an excuse to use her). I also added some Diamond Stickles in and around her feet (backed with a bit of B41 and B45) to give the illusion of ice or snow. I really love that this card feels warm in spite of the snow and Christmas theme! Don;t forget to check out the wonderful creations by our Krafty Girls and special Krafty Guests featuring this week’s challenge!! We’re sure you’ll be inspired!! Then join us, play along and you could WIN!! This entry was posted in Cards, Kraftin' Kimmie and tagged card, kraftin' kimme by Scrappy Canuck. Bookmark the permalink.